We have asked the Council to repair the road surface at the top end of Great Western Road. Now would be a good time for Westminster Council to reverse its axing of youth services. We could have the Stowe reopened in time for the summer holidays. Woodfield Road has been blocked for some weeks and we think residents should know why. It is connected to the excessively tall Hathaway House development, which ward councillors opposed but the current majority on the council gave permission. The construction team excavating the site damaged one of the sewers in the area, so Thames Water have been forced to carry out emergency works. The worksite is in the middle of the road and so it has closed. “The current work on street by Cappagh (on behalf of TW) is to repair the sewer which was damaged by the building works. It is planned that the street will be open by 9th May at the latest on completion of these works.One of my Officers has been on site and he has spoken to the contractor. They have confirmed there are no other problems with the sewer along the length of the street. The area where they are working is the location of the only damage. As residents know, Woodfield Road is one-way, so blocking it would mean people can’t drive in to the eastern part of Woodfield Road or access the eastern part of Elmfield Way (including Athlone Care Home). We have been told that “usually if a street is one way and closed then it becomes two-way for access.” Officers are checking that action has been taken. The ‘No Entry’ sign from Harrow Road may be covered over for the time being so it’s clear. We’ve got teams working along the Grand Union Canal to get this litter cleared as soon as possible, and have also had help from teams of volunteers. It’s massively frustrating that this litter makes its way into the canal in the first place, as it gets blown in by the wind or thrown into the canal deliberately. The times that Cement Traffic incoming and outgoing are permitted. I have observed heavy bulk trucks incoming (Chippenham Road) from 0640 every weekday morning (on my way to work) , and empty returning Cement mixers at 1600 on a Saturday afternoon. Is there a Maximum weight size limit for these vehicles? Are there any checks on the loading of these vehicles? Ark Atwood Primary Academy, working in partnership with Clinch Designs and RVint Engineers, has been awarded £9,000 by the Mayor, Sadiq Khan to create a new roof garden on the school grounds. The garden will allow children to increase their outdoor learning time by growing fruits, vegetables and other plants. We continue to liaise with Council officers and City West Homes to ensure that appropriate action is taken on fire safety works which are of utmost importance in the Little Venice Tower blocks on the Warwick and Brindley Estates. We are pressing the Council to meet their promise to provide sprinklers to talk blocks in Westminster starting with the Little Venice Towers. We have called for safety works to a path on the Amberley Estate. The Council has responded that they will be installing a low level chicane on the entrance to the pathway to prevent motorbikes or bicycles from cutting across the path. We have continued to work with local residents about the impact of the private Care Home in Hanwell House. We have worked CityWest Homes and Westminster Council to find a solution and progress is now being made. We continue to work with local residents about the disruption to their streets and noise levels during Carnival. We are pressing the Council to convene a residents meeting to discuss their plans for the sound systems in 2018. Elmfield Road residents continue to suffer poor road maintenance, lighting and security as a result of the many different operators who own sections of the road. As a result of the failed property development between the Council and the NHS, Westminster reneged on its commitment to ‘adopt the road’ under council control. We continue to argue for the Council to take responsibility for lighting, waste and general upkeep to improve this street for residents and visitors. In the interim we are pushing all the owners to resolve the long-standing lighting issues. CityWest Homes performance has deteriorated further since last year’s closure of the Little Venice and Westbourne Park Estate offices and we know CWH officers have been missing site visits and drop-in sessions. Labour is committed to restoring a local estate office network if elected to run the Council in May 2018. We continue to speak on behalf of residents to City West Homes and other landlords about delays with repairs and unacceptable living conditions, including damp and mould. We are questioning increases to City West Homes service charges in a number of blocks in Westbourne on behalf of residents. We have asked for the pavement outside the Marylands Road Shopping Parade to be repaired and we are also asking City inspectors to try to prevent rubbish being left on the pavement. We have been working with local residents to tackle longstanding rubbish dumping issues at this block. We are continuing to work with residents to pressure the council to sort out its botched 2-way scheme. We are also working with the council to increase the proportion of bays that are for residents parking. Despite support from local residents and both Cllr Hug and Cllr Boothroyd speaking at the Planning Committee, the Council rejected a plan to redevelop the long vacant Windsor Castle pub on Harrow Road. The Committee instead argued that the site should be used for private housing if it can’t be used as pub, despite the spate of luxury flat developments in the area. We have been working with a number of residents around repairs problems, major works ‘snagging’ and recent concerns over the lack of support. “Westminster Council introduced a new traffic flow system over the weekend. We saw the proposals some time ago and thought that changing Woodfield Road from one way to 2-way traffic without moving some of the parking bays would cause congestion at peak and other times during the day and evening but obviously the planners thought otherwise. I am informed that last night this is exactly what happened and on one occasion a fight broke out following arguments between drivers over who should give way. We have asked the Planners to investigate the advertising boards placed on the Carlton Bridge over the Grand Union Canal on Great Western Road. They are clearly not within any of the classes of advertisements not requiring consent. We have asked the Council to clear the litter in the children’s playground on the Amberley Estate, off Formosa Street. We have assisted with highlighting issues with rubbish and anti-social behaviour around Elmfield Way, working with a range of different council departments, the NHS, Catalyst Housing and the Police to try to get them to improve conditions. We have been advocating on behalf of residents facing large major works bills on Great Western Road. Unsightly rubbish has been removed from Marylands Road after this was highlighted by us. We have raised the issue of potholes with the relevant Council Officers and they have since been filled in. We asked the Council to fund a path and soak away which they have agreed to do. We have approved funding for the pruning of trees through the Westbourne Ward budget. We worked with the team at the Stowe Youth Club and have been able to use the local ward budget to allow them to reopen for an additional evening to provided support to local young people. We have been assisting residents who are having issues with City West Home’s new Customer Call Centre to ensure their complaints are handled as quickly as possible and the Labour group has raised deep concerns about the delays with the management of City West Homes, who pushed ahead with the changes despite our opposition. We are trying to push for a ‘green wall’ to cover the graffiti but we understand there may be technical issues that will need to be overcome, as well as financial issues. We are continuing to urge Network Stadium to deal with a number of outstanding repairs and maintenance issues. We are making enquiries with Network Homes about complaints from residents about “mice infestation, fire certificates, noise nuisance and service charges” at Russell’s Wharf. “Our pest control contracts have visited the site and carried out a comprehensive inspection and treatment. This process included a door knock (although not everybody was in at the 1st & 2nd attempts) of all the properties on the development as well as the internal and external communal areas. This treatment will continue until it is confirmed that the problem has been eradicated as much as it can be given that this development is very close to the Grand Union Canal which we believe is the source of the infestation. “This project explores the stretch of the Grand Union Canal towpath, east of Great Western Road and directly overshadowed by the Westway. We consider that there is an opportunity to regenerate this area, which currently feels neglected and hostile in an otherwise beautiful length of canal side landscape. A local business has started this petition urging Kensington & Chelsea Council “to install lighting along the canal tow path along the dangerous stretches near Westbourne Park so that our colleagues and neighbors can walk and cycle in safety in the dark hours. “Why is there always – certainly for the last 2 or 3 years – a ‘Highway Maintenance vehicle permanently parked in the nearside lane of the dual carriageway at the end of the Harrow Rd, adjacent to Westbourne Green open space, just beyond (going east) Lord Hills Bridge? It disrupts the smooth flow of traffic and for bicyclists like me, it is a not inconsiderable and unnecessary risk”. The Council has organised an important public meeting about the future of the wider area around Harrow Road. It is really important that residents of Queen’s Park, Harrow Road and Westbourne Ward have their voices heard so please do come along. The Meeting is at WECH on Harrow Road. We have again been working alongside Council officers and the police to ensure further action is being taken against the aggressive rough sleepers who have returned to Blomfield Mews and Westbourne Terrace Road. After months of work with residents to put pressure on CityWest Homes and Council Officers, progress is being made in a long-running and complicated anti-social behaviour case on Blomfield Villas. There will be some noisy work on the Crossrail site from mid-May as the signals are going to be changed and the Network Rail lines need to connect into the Crossrail tunnels. This means that more overhead equipment needs to be put in which will involve breaking up concrete slabs. This will take place during the day between 8am and 6pm. Residents have told us about the lights at Dartington House being left on and after we raised the issue CityWest Homes fixed the lights. We are working to put pressure on CityWest Homes about the potentially large major works bills for upcoming (and long-overdue) work on parts of the estate. There are particular concerns around the impact on the 81 resident leaseholders facing bills on average of nearly £14,000. We will continue to push CWH to control costs and provide full access to deferred payment schemes, while delivering important improvements to on a number of blocks that are years behind schedule. We are furious that, as a result of Council cuts, the Stowe Youth Club on Harrow Road is being forced to close almost all its services for local young people and lay off its hugely dedicated and experienced staff. The Stowe Centre is a vital facility in Westbourne ward and is a place where historically young people from the Warwick, Brindley and Amberley Estates and beyond have come for many years to take part in activities or just simply have some space. Westminster Academy and Paddington Academy are set to lose hundreds of thousands of pounds as a result of a new national funding formula. Both schools are rated Outstanding by Ofsted and in the top 5% of high achieving schools in the country, a huge achievement give the challenges many of their pupils face. Karen Buck MP challenged the proposed cuts in Parliament and after lobbying the cuts are lower than initially feared but still hugely damaging. Westminster Academy will lose at least £212,000 per year and while Paddington Academy also faces cuts of £139,000. The cuts now also mean that fewer pupils at these schools will be able to receive free school meals, yet more evidence that they are leaving local kids behind. For years the Network Housing Blocks (Astley, Brindley, Langley and Radway) have suffered from poor ventilation that caused heavy condensation and black mould throughout people’s flats. It has taken three years of work by Karen Buck MP, us and Westminster’s Environmental Health Officers, since the complaints from residents were first raised with us, to get Network to find a permanent solution. Initial attempts to fix the problem in flats in Brindley House failed and the subsequent trial of new vents lasted over a year. However finally in November 2016 replacement vent systems were rolled out to almost all these flats and since then 15 flats have been given individual mould treatment and redecoration. Please contact Karen or us if we can help with any problems with your home. Each ward in Westminster receives pot of £46,000 per year to be used to support community projects (e.g. youth projects) or to invest in items to improve the local area (e.g. Christmas Lights, benches, plants). We are always keen to get ideas from residents about what this should be spent on so please let us know what you’d like to happen. The Council’s rules are that a project must be of benefit to local residents, it is not against council policy and (if it is a project) that it is managed by an organisation or club (the council will not fund individuals). For more info please see here: https://www.westminster.gov.uk/ward-budgets but do contact us direct with your ideas. We continue to work with Brunel residents to get answers from Westminster Council and CityWest homes about how to resolve the on-going problems. After initial progress the Council is moving too slow and we are calling on Westminster to meet residents’ demands. We have been working with residents, CityWest and the local police about a fitness group that is regularly invading the children’s playground. Despite some respite over the winter, residents have now reported that the group have returned. CityWest will need to take civil trespass action against the group if new steps to dissuade the group fail. We have continued working with local residents to deal with the ongoing issues around fly tipping and waste being left on street outside of collection times at the Harrow Road end of Marylands Road. The Council have taken recent enforcement action following our requests. We have been working alongside council officers to ensure action was taken against the couple who were squatting in a garage on Blomfield Mews. Officers had to go through a difficult legal process but eventually they were removed and prevented from returning. Over Christmas and into the New Year we had been working with residents to put pressure on CityWest Homes to fix the longstanding problems with the lights in Oldbury House. Eventually there seems to have been progress but problems managing the block persist. Council officers have proposed the installation of an outdoor gym on Westbourne Green, on the eastern edge of the main path through the park. A resident’s consultation is due shortly and we are keen to ensure local residents have their say on what is a potentially exciting scheme but one that needs to be planned carefully to reduce the risk of it being a focal point for anti-social behaviour. When first proposed these plans generated a number of concerns from residents about their impact so we are keen that residents have their say in this consultation and ask that they let us know their views to help us ensure the council listens to them. “On the Brindley Estate Blocks (Brindley/Astley and Radway Houses) Network Stadium are now near to completion of the remedial Ventilation project within all the flats. The project required the replacement of the inadequate and broken Mechanical Ventialtion and Heat Recovery units in all the flats which was rolled out in November 2016. The replacement Vent Axia units are to replace the very old and ineffective fans which had failed to function. The ceiling ductwork and external venting has been repaired and or replaced in many of the flats to allow for the new systems to control the high levels of moisture and condensation which has historically caused the high levels of mould coverage in bathrooms and some bedrooms and living rooms. A number of the flats have undergone mould eradication treatment and redecorations to remove the historical mould build up in rooms due to the older ventilation failings. A new petition has been started calling on Westminster City Council to restore funding to the Stowe Club so that valuable services to young people can continue. Because of Westminster Council cuts the Stowe Youth Club on Harrow Road is being forced to close almost all its services for local young people and lay off its hugely dedicated and experienced staff. The Stowe Centre is a vital facility in Westbourne ward and is a place where historically young people from the Warwick, Brindley and Amberley Estates and beyond have come for many years to get a break from tough home lives, to take part in activities or just simply have some space. It was once the home to the one of London’s most famous youth football training grounds, known for producing stars like 1980’s Liverpool legend John Barnes. It was also the home of The Cut magazine, written and produced by local young people and created the hit YouTube series Chicken Shop Date as well as a host of other exciting projects. So as from 1st April the Stowe Centre will only be able to provide a replacement one night a week session for 11-19 year olds. This will be nothing near to what use to be provided and is a massive blow to the community and life choices of the young people in the area. We have asked the Council to investigate reports of begging outside the station. “The multi-agency officer level review was due to take place a week ago, however I have been informed that it was cancelled following a request from the GLA for evidence in relation to its own review, which is specifically focused on security. The multi-agency review has yet to be rescheduled, however we are pushing for this to take place sooner rather than later. Without the outcomes from the multi-agency review, it is difficult to say what changes are planned, however there does appear to be a focus on stewarding and policing arrangements, which is to be expected. Consideration is also being given to how best to manage the sound systems and their impact. There are three licenced sound systems in the Westminster footprint of Carnival and we are working with the police on how best to manage these and the other sound systems in both WCC and RBKC. A meeting has been organised to give residents a chance to have their say about what worked and where there is room for improvement around the operation of the sound systems at Carnival 2016. Organised by the Council’s licensing team in conjunction with Westbourne ward councillors, it will give an opportunity for residents of Leamington Road, St Luke’s Road, Tavistock Road and the surrounding streets and estates to express their views and improve dialogue with the sound systems and the council ahead of Carnival 2017. The meeting will take place at the Bayswater Children’s Centre, Shrewsbury Road, London, W2 5PR between 6pm and8pm on Tuesday 4th October. If you can’t come but have issues you want to raise please contact Cllr Adam Hug on ahug@westminster.gov.uk. We have been supporting efforts by residents and the Harford House Tenants Management Organisation for action to be taken against the keep fit groups that are periodically taking over the children’s playground, displacing the children and damaging the equipment. CityWest Homes are exploring legal options against the groups. Unfortunately, despite a long campaign by ward councillors, the TMO and residents, the Council has rejected plans to transfer control of the lighting columns from CityWest Homes to the Council’s street lighting teams. This means leaseholders (and the HRA) will continue to have to pay for street lights that benefit the whole community. However the council has committed to further citywide discussions on how to deal with CWH lighting. Assisting the work of local residents Claudia Rice and Elaine Arthur, we were delighted to help facilitate the painting of a mural, created live by local artist Bambookid over the Carnival weekend, on the canal side of the Westbourne Park Bus Garage to help brighten up the area and deter ‘tagging’. Westminster Council’s Planning Committee has approved controversial plans for a 14-storey tower on the Hathaway House site on Woodfield Road. This was despite over a hundred complaints from local residents, and the opposition of both the Westbourne and Maida Hill Forums and Labour’s councillors. Cllr Adam Hug spoke on behalf of the objectors at the meeting but the plans were passed on a 3:1 vote with the Labour committee member Tim Roca providing the sole vote against the scheme. As many residents will have seen, a new Costa Coffee has opened on the site of the former Prince of Wales pub. This hopefully marks the end of a long campaign by local residents, the Maida Hill and Westbourne Forums and Labour councillors to stop the site being turned into a Betfred betting shop. While Costa may divide opinion, with many locals having signed a letter calling for the site to be turned into a café or coffee shop such as this while others had hoped for the restoration of a pub on the site, there is hopefully agreement that the site on the junction is now in a better state of repair and that finally ending the risk of a betting shop or payday lender taking over the site will be helpful for the area. Continuing delays to the Council and NHS development have meant that the long-planned council ‘adoption’ of Elmfield Way with Westminster remains on indefinite hold. We continue to be pushing strongly for the council to get its act together and adopt the road, irrespective of the slippages in its development, to stop the menace of rogue clampers and poor road quality. We have been working with council officers to help residents tackle rubbish dumping on the street and to tackle illegal van parking, though there is still more to do. We are pleased that after several years of local residents and councillors raising it as a concern, the council is finally taking action to place ‘any time’ double yellow lines on the section of Harrow Road that crosses the Grand Union Canal to help reduce congestion caused by parked cars. The council has rejected initial plans for a new development on Lord Hills Road, next to Atherstone Court on the Warwick Estate, due to complaints from ward councillors and residents about the height and design. Revised designs are likely to be put forward to the planners but vigilance will be needed to ensure they are acceptable to local residents. We are keen to get new ideas from local residents about what projects its £46,000 per year ward budget should be spent on. The council’s scheme stipulates that the money must either be spent by an organisation or on items (e.g. a park bench) that can be provided directly by the council (the rules prevent it from funding individuals). For more information about the scheme see the page on the council site https://www.westminster.gov.uk/ward-budgets or contact us. Black cab drivers have joined forces with residents and Labour Councillors to fight a new 15-storey tower which they fear will overshadow their homes. The LTDA floated a blimp in Westbourne Park, where its HQ is based, to show the height of the proposed tower. Meadow Partners, an international property investor and asset manager, want to demolish Hathaway House and replace it with a tower of luxury flats. Formal planning permission is also needed but the cabinet member at Westminster council has pledged to help. After an accident a few weeks ago, the metal boundary and brickwork at the edge of Shrewsbury Gardens park (on the corner of Talbot Road and Shrewsbury Road) was damaged and the brickwork was left hanging dangerously. Fencing was put up outside but not inside the park. We were alerted by a nearby resident and contacted the Parks department who made sure both sides were fenced off. The parks department are also in the process of getting quotes to repair of the wall and railings. After months of delay the council’s development team has finally produced some initial plans for landscaping the area of Westbourne Green which was used for the WAES temporary classroom. They are proposing a grass ‘bund’ (a mound) about two feet high on part of the flat area opposite the Edward Wilson school entrance, together with some defensive shrubs along the path running between Bourne Terrance and Lord Hills Road. London Plane trees will be planted around the rest of the area. We have again asked the Council to fix a blocked gully in the road opposite the bus garage. We have spoken out about controversial plans for a 16-storey tower on the Hathaway House site on Woodfield Road. Building on long standing concerns that we have raised with the developers and the Council, we have been working with local residents to identify the key concerns about the proposed scheme and calling on the Council to reject the application unless it is dramatically revised. Residents have been concerned about the plans for Hathaway House on Woodfield Road, where Healy Development Solutions are trying to get permission for a 15 storey tower, with the rest of the development being four storeys. We have already registered our objection to the plans. We don’t object to the site being developed, but what is proposed is badly designed. The 15 storey tower relates very badly to the area, and the rest of the building is very bulky and takes all the light from Athlone House care home. We also want to see some new social rent flats in the development to help with the housing crisis. We’re encouraging the developer to rethink, and working with residents and the groups in the area. It is an important time for the Living Heritage Project at St Mary Magdalene’s Church on Rowington Green. The project involves a new heritage wing to allow access to the undercroft, as well as conservation work on the existing Grade I listed building. The heritage wing will include an education room and a community café. There is a redevelopment proposal in the middle of the Warwick Estate at 2-6 Lord Hills Road, the former doctor’s surgery on the end of Atherstone Court facing Edward Wilson School across Westbourne Green. The owner is proposing to build a block of ten flats to replace the existing building. We have encouraged full community consultation. We recently met with the youth service to discuss the future of Bayswater Children’s Centre following the Council’s announcement of major cuts to the service. The future of stay and play services remains very much at risk, but at present it seems the centre will stay open providing new support to 2 year olds. We have been working with CityWest Homes to see if this building might be able to be used for local residents’ meetings in the evenings. We were shocked when residents told us that a property in Hanwell House on the Brunel Estate was being used as a care home without permission from CityWest Homes, and have urged CWH and the Council to take action. We have called on the Council to give clarity about the future of the Brunel Family Centre, which has been deemed unsafe for long-term use due to subsidence. Rather than being left empty long-term (housing some materials for electoral services in one section), Councillors are looking at alternative ways the area could be used by residents ahead of any long-term redevelopment. Following longstanding complaints from local residents about prostitution and anti-social behaviour on this corner, City West Homes have committed to introducing improved lighting as part of the major works programme on Dorchester House. The Safer Neighbourhood Team has made a number of visits to the area in recent months following these concerns. After unfortunate delays Westminster Council has finally agreed to organise a local meeting for residents to discuss issues relating to the sound systems at Carnival 2015 and plans ahead of Carnival 2016, due in late April or early May. More information should be available shortly. We have been working with lessees in the Harford House TMO on Tavistock Road about the TMO (and them) being charged for some of the external lighting and the upkeep of the playground area that is fully open to the public. Discussions are underway to see if CWH or Westminster Council will take back control, cutting costs for residents and ensuring the area is actively maintained in future. Working with residents on the Brunel Estate in February, we helped persuade the planners to call for the rejection of plans for Tarmac to put up a number of unsightly blue name signs around their plant. Cllr Adam Hug and the chair of the Grand Union Residents’ association recently met with Tower Transit to discuss ideas for future uses of their car park, once the new bus deck is complete. They also discussed doing more to tackle graffiti on the canal-side wall and the possibility of installing a Green wall. Tower Transit were urged to do more to tackle the noise and emissions from idling buses. We have been calling for action by the Westminster Planners and the Harrow Road town team to help expedite the planning situation at the Prince of Wales. Many residents are open to the site being used by a high-quality café or restaurant that helps provide a meeting place for the community and improves the area. We have been working with local businesses and residents to secure the creation of a new motorcycle bay following changes in parking management that have caused real problems for a longstanding small business. Plans for the redevelopment of Hathaway House on Woodfield Road are now available for residents’ comments (16/02091/FULL). We have previously raised concerns about the proposed height of the (15 storey) tower to the developers and planners. While the currently proposed affordable housing (around 19% of the scheme) is better than many developers’ opening offers these days, it still falls far short of Westminster’s own policy target of 30% affordable homes. New office space may well be welcome to assist local businesses. Let us know your thoughts and do comment on the application. We are continuing to work with residents and shopkeepers to stem the repeated attempts to turn shops into residential flats and new developments that might impact on their neighbours. Despite the best efforts of the head and teachers of the Ark Academy a small minority of parents insist on driving down Amberley Road, in breach of the agreed school transport plan, causing problems for the residents of Amberley Road and the Amberley Estate, along with safety concerns for the children. We have been calling on Westminster’s highways team and CityWest Homes to take further action to prevent drivers doing this. With cars often parking on both sides of the road on the Harrow Road canal bridge, causing issues for drivers and buses, we have called on the Council’s highways team to put in double yellow lines in this area to help tackle the problem. After long delays and some miscommunication by Westminster the scheme is due for final consultation with residents, based on the designs initially supported by residents in 2015. We are pushing for as many residents as possible to be consulted and for the scheme to be delivered as quickly as possible so that Warwick Estate residents can benefit from the improvements this summer. Following complaints from local residents, we councillors have taken up problems with water pooling and poor road surfacing on Chepstow Road. The Council Highways team agreed to take further action near 37-41 Chepstow Road and pushed Thames Water to move forward with works near numbers 43-52. There is growing frustration that long promised road safety improvements on Chippenham Mews are still outstanding, letting down residents, and the parents and children of St Peters primary school. We are calling for answers from the Council about the reasons for the delays. We’ve been helping many residents with problems relating to their housing including damp, flooding, dodgy electrics, late repairs, overcrowding, housing benefit problems, threatened evictions and general poor performance by CityWest Homes, Genesis, Network Stadium and other organisations. Let us know if we can help with your case. We are continuing to try to find an organization that will take responsibility for installing lighting along the canal tow path. “The entire building is full of holes the Gas people left when put in new pipes, they never seem to do a proper job as we are infested with mice. We had the same problems when they did the major works however they returned and sorted it out then we no longer had any mice. · To retain the historic fabric of the original building, with all its decorative features. If careful ‘excavation’ of the frontage should reveal hidden features, e.g. the five pillars of the original façade then they should be restored and retained. Residents living near Elmfield Way have been complaining all summer about a chaotic and dangerous parking situation – with vehicles triple parked on bad days. Karen Buck MP raised the issue with the road’s private owners and a new parking contractor, Euro Car Parks, has now been appointed and their impact has been remarkable, with the street now mostly clear and accessible. Karen is continuing to speak to the council and the private owners of Elmfield Way to push forward with the adoption of the road, which would provide a long-term solution and the provision of normal council services. We have asked the Police and Council to let us know what they doing to address the problems of continued prostitution on the corner of Aldridge Road Villas and Westbourne Park Road. 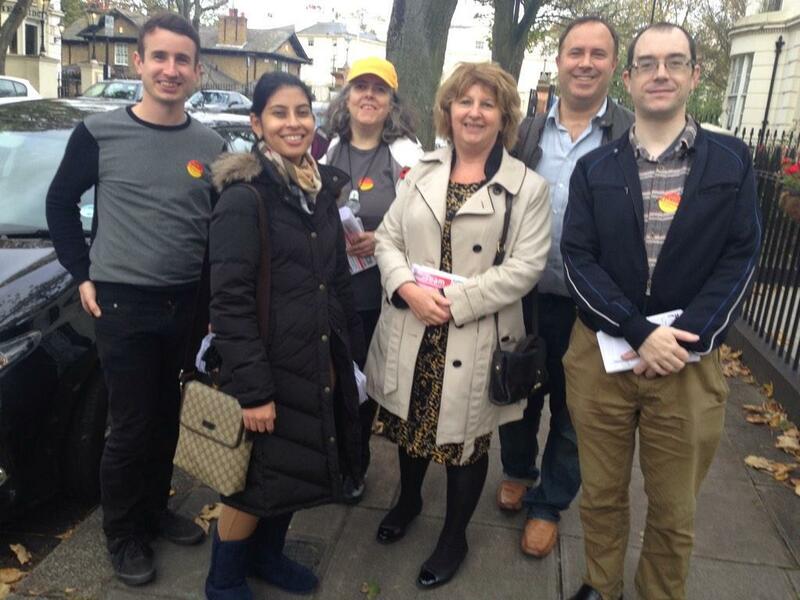 From the 9th January 2016, the Councillors’ Surgery will take place at: The Stowe Centre, 258 Harrow Road, W2 5ES every Saturday, 11am – 12 noon. 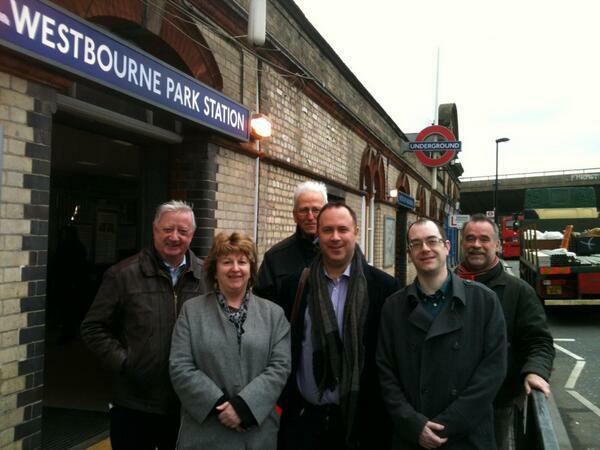 If you have any enquiries regarding the Westbourne Councillors’ surgery, please contact 0207 641 4299. A last night’s Planning Committee the proposed change of use of the Prince of Wales pub on the Harrow Road to a betting shop was unanimously refused. “…the loss of a public house and the proposed use will harm the retail vitality and viability of the Harrow Road District Shipping Centre. A great victory for the local community! • contact local businesses to ask them to avoid deliveries at the start and finish of the school day. As of October 2015, 22 months after the initial meeting, only the school signs have appeared, with no sign even of a simple letter to local businesses about their deliveries. Karen Buck MP and local Labour councillors are calling on the council to explain the massive delay in implementing these measures they promised local residents. Two public meetings were held on 6.12.2013 and 28.3.2014 with parents, residents, councillors, Karen Buck MP and representatives of Westminster Council’s transport team and local police. After witnessing very large groups of street drinkers gathering on the piazza, and hearing reports from local residents, Karen Buck MP and ward councillors have been pressing for a plan of action from the police and council- including action to find out where these drinkers are coming from and why they are gathering in larger numbers than before in this area. “Following the refusal of an application for a licence by Bet Fred for a shop in the area, a review has also been called of the William Hill licence. This follows allegations of alcohol and drugs on the premises, clearly in contravention of the licence. I understand that further evidence gathering is underway and that the case is likely to be heard in mid to late November. In the meantime, in response to our application for review, William Hill has barred a group of about 10 people as they were drinking on the premises. Yesterday we visited Costcutters in the area as we had heard rumours that the shop was providing alcohol to the street drinkers. The shop does not have a premises licence and our investigation found no alcohol on the premises. In addition to this, we have identified four other shops with Premises Licences within walking distance of Maida Hill Place. We will check their conditions and then visit to see what is for sale. “When we had the police station on Harrow Road, we had police officers walking to and from the station, creating a natural and understated police presence. Of course that is no longer. We have an excellent Harrow Rd Dedicated Ward Officer in PC Iain Armstrong, but I’m not sure what additional support he has. We were once offered a community police officer to be present on the market, at least on a Saturday. But cuts have knocked that one on the head”. From 1 October 2015 the Harrow Road Health Centre will merge with the New Elgin Practice (formerly located in Chippenham Road W9), to form a new GP Surgery called the “Grand Union Health Centre”. All the staff at the Harrow Road Health Centre will be staying on, i.e. all the doctors, nurses and reception/Admin staff and will be joined by the doctors, nurses and other staff from the New Elgin Practice. All the patients from the New Elgin Practice will also be attending the new health centre. 1. Longer opening hours from 8am to 6:30pm Monday to Friday with extended opening hours on Mondays and Tuesdays. 2. The health centre will be redecorated throughout with additional consulting and treatment rooms. 4. Online services, including patient registration, ordering prescriptions, electronic prescription service directly to your local pharmacy, email enquiries, booking appointments up to 8 weeks in advance, view a summary of your medical records, view your most recent blood results, and more services to be added in the future. Additional services will be also launched throughout 2015/16. If you have any questions about the merger speak to Dr. Jonathan Fluxman and the team at the Harrow Road Health Centre. We are pressing the Council to take action against those responsible for continually dumping rubbish in Marylands Road. In Westminster, the Carnival footprint covers 28 streets. The garden and basement cleaning service has been undertaken by the council for a number of years and is a free service offered to those residents who live within the footprint area. The service offers the free clearance of event litter only. ‘Event litter’ refers to waste items that directly relate to the Carnival, such as food packaging, food items, drinks cans and receptacles, and other related items that have been improperly discarded inside the boundaries of residential properties. However, the service does not cater for properties that have used their private land to trade, party, or entertain during Carnival. After months of campaigning by local residents, Karen Buck MP and us, Westminster’s licensing committee listened to our concerns and blocked a licensing application to turn the former Prince of Wales pub site at the (Maida Hill) junction of Harrow Road and Great Western Road into a Betfred betting shop. There remains a risk that Betfred might appeal the decision or that the owners might attempt to put another undesirable company into the property so we will remain vigilant and put pressure on the council to assist in finding a more appropriate tenant for the building. We have been working with residents, the police and CityWest to reduce problems with gangs of youths congregating in and around the block behind the Stowe Centre late at night making residents feel unsafe. CityWest are examining options for improved security features in the block and the police have said they will visit more regularly to tackle the problem. We have been working with CityWest Homes on problems being caused by people congregating on the canal side bench next to Barnwood Close on the Amberley Estate and hope that action will be taken shortly. We have worked with residents to address litter not being collected from the land between the Warwick Estate allotments and the canal. CWH have confirmed that they will do more to ensure this area is kept clean and we have worked with the parks department to ensure a fridge was removed from between Atherstone Court and Edward Wilson School. Westbourne, like so many other parts of Westminster, has seen an increase in street dumping of both normal rubbish bags and larger items at the bottom of trees, in neglected corners of estates and streets and all around (rather than in) larger street bins. We are strongly encouraging residents to use Westminster’s residential bulky waste collection service (https://www.westminster.gov.uk/residential-bulky-waste), whilst putting pressure on the Council to look at ways to make this more affordable. Labour is putting pressure on the council to improve its street cleaning, the information it provides to residents and enforcement against those who are causing this problem. Please let us know when dumping has happened on your street or estate and we can put pressure on the council to investigate. Although it has been completed many months after originally promised, Thames Water have finished work on ‘The Pit’ on the corner of Bourne Terrace and Harrow Road, providing a space that will improve how the area looks and feels. Thames Water have also said that their final works on Westbourne Green are due to be completed in the next few weeks to enable the green to be opened up again to residents. We have been working with shopkeepers from Oldbury House after CityWest Homes attempted to introduce charges for the use of parking spaces behind the parade of shops. No charge had previously been required and the initial request was for almost £1,000 per year. Following pressure from us and the shopkeepers, CityWest have subsequently agreed to reduce their demand to around a third of their original request, although discussions are continuing with some shopkeepers about the impact. We have called for continued efforts to make sure the back of the block is kept clean and tidy, but have noted recent improvements. After the final closure (after years of complaints) of the Chicken Cottage takeaway on the corner of Harrow Road and Marylands Road that had broken planning rules, and the victory of local campaigners, supported by us, to keep well-loved local restaurant Tsiakkos & Charcoal from being turned into flats, we are working with planning enforcement officers to watch out for unauthorized attempts to turn shops into residential units and are looking at ways to support local businesses. We continue to hear of residents’ concerns about minicabs parking illegally in the streets around Sutherland Avenue. The council say they have increased their number of parking enforcement officers but problems still persist. We are interested to know local residents’ views about whether changes to the times of local parking restrictions might be helpful in the area. We have urged the council’s planning enforcement officers to urgently assess the building work being done at the former Windsor Castle pub on the Harrow Road and Chippenham Road junction. There have been problems in recent years with this abandoned site but this looks very much like unauthorised building work as there is no current planning permission. Karen Buck MP and we are continuing to press the Council to speed up the adoption of Elmfield Way that is due shortly. Residents are very concerned about the current management of the road and the problems it causes particularly for disabled residents. The primary concern remains the area from the corner by Carlton Gate to Ashgrove Court that passes in front of the Eaton Plaza area. Issues are a mix of poor road maintenance and longstanding and continuing problems with the myriad different private parking companies that manage each individual section. Parking enforcement is the biggest problem at the moment and the perception is that the private contractors are not up to the job of keeping traffic moving but do issue tickets for some very minor infractions. We have been working with residents to raise concerns about the potential costs to leaseholders about proposed major works and have urged CWH to ensure they fully consult with all residents. Over recent months we have been working with residents, police and CityWest homes to tackle the persistent anti-social behaviour problems on the estate and respond to the damage done to the new security doors. We are working with residents on the longstanding issues around CWH not replacing broken lights in front of the block and addressing potential problems around carnival. Please let us know if we can be of help on any local matters. The local Inspector visited both properties at 2 and 4 Westbourne Park Road. They were both had gated entrances and there was no answer. So she delivered warning letters indicating the collection times, their responsibilities and of the possible penalty for not adhering to the notice. She told us to keep her updated and if there are any further complaints she will go round again. We are continuing to press the Council to speed up the adoption of Elmfield Way. Residents are very concerned about the current management of the road and the problems it causes particularly for disabled residents. The area of primary concern remains from the corner by Carlton Gate to Ashgrove Court that passes in front of the Eaton Plaza area. Issues are a mix of poor road maintenance and long standing and continuing problems with the myriad different private parking companies that manage each individual section. Parking enforcement is the biggest problem at the moment and the perception is that the private contractors are not up to the job of keeping traffic moving but do issue tickets for some very minor infractions. The Arborcultural Officer say the tree was removed in 2008 due to an insurance claim. He says that sites in the area are looked at regularly for potential tree planting and Woodfield Road will be inspected over the summer to identify any potential site for planting new trees in the autumn. Having taken a look at the minutes from the planning committee meeting where the redevelopment of Harrow Road Police Station was discussed, the developer will be contributing £20,000 to public realm improvements including tree planting. The Hampden Street footbridge connects Westbourne Park Villas with Alfred Road and Crossrail is required to upgrade certain parts of the bridge including provision of a ramp on the south side and improved lighting. At the Crossrail Paddington Community Liaison Panel meeting on 10 March 2015 the project team explained that the main works on the bridge, including a closure during school holidays, was to take place between June and September 2015. Westbourne ward councillors and Karen Buck have written to protest about this delay. We started meetings about improving this footbridge 6 years ago, and it is unacceptable that it is being put back further, especially given the nuisance and additional traffic that residents have experienced during the Crossrail construction period. Councillor David Boothroyd gives an update on the outcome of the Planning Applications committee meeting in respect of 325 Harrow Road (the former police station). “Ward councillors Adam Hug and myself tried to put the residents’ case as best we could, including asking for members to visit the site; but regrettably the Chairman and most of the members did not give any consideration to doing so. Led by Chairman Robert Davis, the committee majority agreed to the design of the building. Those residents who were there will now understand, if they have read local newspaper ‘West End Extra’, why the South East Bayswater Residents’ Association has recently criticised Cllr Davis (see http://www.westendextra.com/news/2015/mar/residents’-chief-hits-out-‘autocratic’-politician and http://www.sebra.org.uk/images/galleries/sebra-news/spring-2015/102-spring-2015.jpg). Two things which the committee did should be noted. The first is that the Construction Management Plan, which wasn’t submitted with the application will have to be presented to the councillors for approval before any work can start. This is small reassurance as it only gives limited amount of control over the building work. The second was that the committee required the developer to pay £1m towards community facilities. It might make the developer think again, although it’s not certain to. They have until 6 April to decide whether to pay, or to start again with a new application. We’ll keep an eye on what they decide. Local residents, supported by Karen Buck MP and Labour councillors from Westbourne and Harrow Road wards are protesting against plans by Betfred to turn the Prince of Wales pub into a betting shop. The pub, on the junction of Harrow Road and Great Western Road, has sat empty since the autumn but instead of being kept as a pub (with different landlords) or developed in a way to improve the Maida Hill Market area, the current owners have agreed a deal with Betfred to turn it into yet another betting shop. The pub is just one door down from a Paddy Power betting shop, with Coral, William Hill and a number of pay day loan firms also nearby. Since rumours first emerged about a possible new betting shop moving in, over 230 local residents signed a petition calling on the council to act (http://linkis.com/westminster.gov.uk/P9GRM). Now local residents, Karen Buck and ward councillors are holding a short protest on Saturday 7th March at 12.30 pm outside the Prince of Wales to show community opposition to Betfred’s plans. At a national level Labour has called for planning permission to be required when there is a ‘change of use’ to turn a property into a betting shop, but efforts to push the government to act are currently stalled. So residents and Labour Councillors are urging Westminster City Council to do all it can within its existing powers to help stop Betfred taking over this important local building. “This protest is not about a general opposition to gambling but about the way these betting shops are clustering in and targeting an area with a number of vulnerable people. Betfred will not help our residents and the local community does not want yet another betting shop. 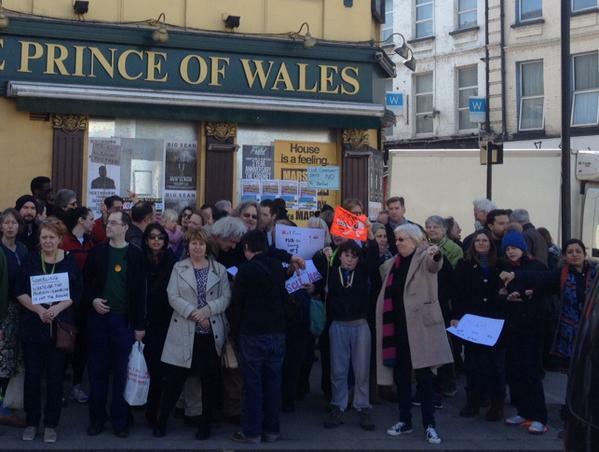 We call on Westminster Council to do all it can to find a better alternative for the future of the Prince of Wales”. • There are at least three options that Westminster City Council can explore to help block Betfred’s plans. Firstly it can look at an ‘Article 4 Direction’ that under planning law would recognise the Prince of Wales as being of ‘acknowledged importance’ meaning any change from being a pub would require planning permission. Secondly it could designate the pub as a ‘community asset’ that would give local residents more time and support to find an alternative use for it. Thirdly the council also has a decision to make whether to issue a gambling licence, within tight national criteria. 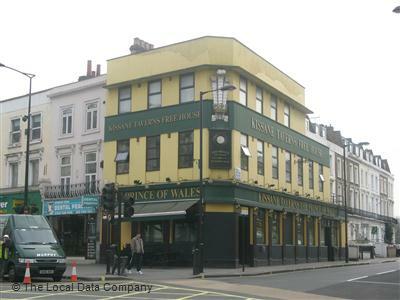 • The Prince of Wales has been in use as a pub since the 19th Century. Records go back at least as far as 1891 (http://pubshistory.com/LondonPubs/Paddington/PrinceWalesHarrow.shtml). • The protest will take place at 12.30pm on Saturday 7th March outside the Prince of Wales pub (351 Harrow Road, London, W9 3RA). We are delighted that the new (Pelican) pedestrian crossing at the junction of Harrow Road and Chippenham Road is now up and running. After some delays caused by legal issues, we kept pushing Westminster Council and TFL to ensure the work was completed, after the tragic accident in the area. The new crossing will help improve safety for pedestrians on this busy stretch of road. We have called on CityWest Homes to take action to resolve the persistent problem of anti-social behaviour in the Warwick Crescent garden, caused by people climbing over the wall from the fire-station. We are working with CityWest Homes, the police and the council’s public protection team to improve security here. We continue to put pressure on the council about the mini-cab problems on Marylands Road, Sutherland Avenue, Amberley Road and connecting streets. We’ve raised an objection to the extension of a local mini-cab office licence as the council has yet to get the problem fully under control. Together with Karen Buck MP, we are working with Westminster Council to try and ensure that local young people will have proper access to play space when the development of the site of current multi-use games area takes place next year. Westminster have committed to provide some supervised access to the Bluebell Lodge games area but have yet to spell out how much time will be made available or how they will fund staff to oversee and organise this. We have picked up local residents concerns about London Hostels Association builders encroaching on the green space around Brinklow House. LHA have promised to tell their contractors not to go onto this important area for Brinklow residents. We have been raising concerns with Thames Water about further delays to them delivering on their commitment to landscaping ‘the Pit’ on the corner of Bourne Terrace and Harrow Road. This work was due to be completed in the summer to help partially off-set the loss of green space caused by the works on Westbourne Green. Thames have said that the work will now be completed by Christmas but time is getting tight. We will continue to put pressure on them to deliver on their commitments to local residents. We have supported efforts by Catalyst Housing Association to improve the security around Lockbridge and Ashgrove Court, writing to the Planning Committee to back the plans in response to rising anti-social behaviour in the area. We have been working with local police, the Council’s anti-social behaviour team and the estate office to push the police to keep the area under review. Following the public meeting with residents earlier this year, We and Karen Buck MP have been putting pressure on Genesis ahead of the resident’s meeting on at 6pm November 27th at Paddington Arts. Genesis have been slow to deliver on the promises they made at the previous meeting in the spring but have committed to improving some of the worst kitchens and bathrooms. We have been raising residents’ concerns about particularly high-levels of noise at the sound system on Tavistock Road, where there was a clear breach of agreed decibel limits on the Sunday (before being rained off on Monday). We’ve also picked up issues around noise from shops and from the judging point being loud, starting before Carnival begins and continuing after it has finished. This is in addition to the long-standing concerns around garden clean-up. We are continuing to push the council for a public meeting, now much delayed, so residents can have their say about their experience of Carnival 2014 and to find out what more Westminster Council can do to reduce the impact on residents while maintaining the uniqueness of Carnival. We have been picking up residents’ concerns about problems with the major works programme on the Wessex. This includes not only the longstanding problems about the suitability of the new windows for certain families and the cost to leaseholders, but also the failure of the repairs to the walkways on the estate. Along with local residents we are putting pressure on CityWest Homes to address these problems and have raised concerns about the loss of the project manager, despite previous commitments that he would stay until project completion. CWH have promised that senior staff will be actively monitoring the completion of major works to address outstanding concerns. We have also been working with the police, community protection officers and CWH to respond to a rising number of complaints about security and anti-social behaviour on the estate. We are working with CityWest Homes and members of the local sounding board to find ways to improve the current small youth club site and make use of the ‘dead space’ around it. We are hopeful that CWH will come back with new plans shortly. Following a site visit to Network Stadium’s properties on the Brindley Estate and Eaton Plaza (Elmfield Way) over the summer, a number of repairs jobs were raised to tackle problems that had not been previously resolved. However we are continuing to put pressure on Network Stadium to tackle the longstanding problem in some Brindley blocks where extractor fans are blowing damp air into flats rather than helping remove moisture, where NS have been slow to find a solution. Do you live in the postcode areas indicated below and have problems accessing public transport due to age or disability? Please contact the Environmental Action Line on 0207 641 2000 if you need to dispose of bulky refuse please contact. Please do not dump mattresses, furniture, builders’ rubble, cookers, fridges etc on the street. Solicitors Ronald Fletcher & Co give free legal advice every Wednesday at 5.30pm at their office at 243 Elgin Avenue, W9 1NJ. Contact Derek Rosenblatt on 020 7644 7209 or derek@rfclaw.co.uk. Harrow Road entrance, Westbourne Green. Please feel free to pass on these details to anyone else who may be interested in attending. Residents in the Catalyst key worker housing at Lockbridge and Ashgrove Court have faced real problems with anti-social behaviour in recent months, and we have been working with the Safer Neighbourhood Police team and the council’s local community protection officer to support the estate office in addressing the situation. We have continued to work with residents and CityWest Homes following a number of complaints about the new windows that have been installed, which some older and less mobile residents are having trouble opening or cleaning. If there are further problems with the major works programme please let us know. We have raised concerns with Network Stadium about a number of maintenance issues and problems with rubbish dumping at their properties on the Brindley Estate. We have also been working with Stadium to address the longstanding problem in Brindley House where extractor fans blow air into properties rather than removing it. After complaints by residents of the Amberley Estate and Amberley Road, we have been working with the local community protection officers to address issues where shops were selling high-strength beer and cider to vulnerable people in contravention of their licence. Residents on Westbourne Park Road and Leamington Road Villas have raised concerns about Westminster Council’s decision to change their approach to licensing the Notting Hill Carnival sound systems, moving from a series of annual licences to a system where the long-standing sound systems are given a permanent licence. We are working with residents and the council to ensure there are safeguards put in place around decibel levels, start/finish times and mechanisms for residents’ concerns to be listened to in future, while retaining this important part of local Carnival culture. Karen Buck MP has sent a further letter to Councillor Daniel Astaire to seek clarification of the Council’s intentions following the Westbourne vote and any evidence of the Council’s totally false allegations that Labour campaigned for a ‘no’ vote. Thank you very much for your reply to your letter. I am grateful that you confirm that there is still much to do in the area and we must ensure that the quality of life is improved for residents, and key problems such as over-crowding will still need to be prioritised. Your letter also confirms that allegations made at the Council meeting (subsequently repeated by Cllr Hall) were effectively baseless. As I understand your position. the entire grounds for the claim of a Labour ‘No’ vote campaign rests on one third hand conversation with one resident. Your latest letter does not even confirm that this alleged initial conversation was with, and reported by, Vital Regeneration. As Cllr Hall has stated in the ‘Wood and Vale’ that the Council’s position rests on reports made via Vital, Westminster/Vital either need to confirm the exact details of this evidence of Labour ‘No’ vote activity reported to you, or the claim must be regarded as fallen. I am quite sure that this cannot be done. * Contrary to your assertion, we stressed that there were benefits in the scheme. My letter put this line at the top: “It is now only a few short weeks before you will be asked to vote on Westminster Council’s plans for the Warwick estate. After this one vote, there will be a major development of the area, which will have both good points and disadvantages. There will be real improvements to the look of the area, with some new low-cost homes, job opportunities and community benefits”. “It needs to be you- and only you- making the decision about whether to go ahead with the proposal that will be put before you. That most people locally would like to see the area improved is beyond doubt, and your local councillors and I support this completely. There are potential advantages to regeneration- replacing some buildings that desperately need to be replaced, some more affordable housing and a more attractive ‘street’ along this part of the Harrow Road. * But our task is not to be cheerleaders for the Council- it is to press for the best possible deal for residents, not least in the context of real concerns about housing provision, affordability and reductions in community services. I am certain that even a modestly improved offer, and better campaigning by and on behalf of, Westminster Council, could have secured a different result, and all 3 ward councillors stressed this repeatedly over many months. The experience in Church Street makes this point. What we are objecting to now is an attempt to place blame elsewhere, ignore the Council’s own- predicted-failings in communicating with residents- and make accusations against the Opposition on the basis of no evidence whatsoever. There is nothing wrong with healthy disagreements about policy or the implementation of schemes such as this. We should all be able to learn from it and raise our respective games. What the ward councillors and I won’t accept is being accused of something we did not do, on the basis of unsubstantiated comments which (to borrow a phrase from your letter) it was considered “necessary or expedient” to make central to your justification for losing the vote. As many residents will already be aware, in a ballot at end of June the residents of Westbourne Green rejected Westminster Council’s Regeneration proposals by a narrow margin (438 No to 414 Yes on a turnout of 31.7%). The proposed scheme included a number of positive elements, such as improvements to the public realm, improved replacement flats for those demolished and some additional new social housing and intermediate rent homes for local people. However a significant number of residents raised real concerns about the overall impact of the amount of additional housing, most of which would have been for private sale, planned for the area on or around Harrow Road, where additional blocks were planned to be attached to or placed in front of existing homes. The measures on the table clearly split opinion amongst residents of Westbourne Green, but in the end not enough local people were convinced that they would benefit overall from a scheme that would have taken several years to implement. Over four years of intermittent consultation by the council with the local community, Labour councillors and some local residents raised a number of concerns about the proposed plans and ideas about how to improve the scheme, some of which were listened to, others not. Ultimately we were clear that the issue was for residents, not politicians to decide. Westminster Conservatives told the Council meeting on Wednesday last that Westbourne councillors and I had ‘campaigned for a ‘no’ vote’ on the Warwick and Brindley estate regeneration scheme. There is no evidence for such a claim, because it is completely false. I am therefore asking for this claim to be retracted it and an undertaking given not to repeat it. Inevitably, residents want to know what I and their ward councillors, think about projects of this type and scale. I wrote to residents giving setting out the pros and cons as I saw them. (It is worth pointing out that I and ward councillors in Church St did exactly the same before residents voted on their scheme, and the vote there was strongly in favour). The letters to Warwick and Brindley residents, themselves reflective of several discussions with officers, stressed such points as the need to make the affordable housing offer better, to test the salience of the community offer (especially around the nursery); not to promise retail opportunities which were not within the Council’s gift, and so forth. As can be clearly seen from those letters, which officers have copies of, I stress that it is for residents to make their own decisions and I am strenuously NOT advising them which way to vote. Councillors expressed similar views in their literature. Over and above the letters, we have all sought to answer factual queries, and ward Councillors have attended numerous meetings with residents over a period of years. The issue rarely came up during our local election canvassing sessions somewhat to my surprise, and that, in my opinion, is itself illustrative of a much lower level of involvement and awareness than should have been the case at this stage in the scheme. My understanding from officers is that the claim that Labour campaigned for a ‘no’ vote was based on one report to this effect. Not least in light of the fact that I have now seen a complaint that I was campaigning for a ‘yes’ vote, it is my strongly held view that we all do well to avoid drawing any conclusions about another’s actions on the basis of one or two individual recollections, however sincerely held. I regret that so much time and money was put into a preparation for a scheme that could not command sufficient support. I think there are several reasons why this happened and we all need to seek to understand them. For what it is worth, I believe the offer was seen as insufficient to offset the disadvantages; far too little was done to engage a community which, we predicted, was harder to involve than in Church Street, more effort went into the ‘design’ elements of the scheme than on the human side and the decision to proceed with the construction of the highly visible Torquay Street tower in the months prior to the vote was ill-advised. For that matter, the luxury housing development on Amberley Road, facing the Warwick on the other side of the canal, also did not go unnoticed, and the Warwick has also been under pressure as a result of both the Adult Education centre relocation and the Thames Water excavation. With the exception of the Torquay Street tower, which was not on anyone’s radar until very late on, all of these points were put to Westminster by ward councillors and myself and discussed in detail over the last 8 months. Others may have further insights. Obviously a period of reflection is now required, and the majority view of the residents must be respected. Yet the underlying problems of over-crowding and the need for an improved public realm remain. We also have an immediate challenge to secure the Thames Water contribution and funding for the Mary Magdalene Crypt project. I hope that we will be able to engage constructively to find a way forward. The residents will not be best-served if such a dialogue about the future is obscured by a wildly inaccurate bout of blame and finger-pointing, such as we saw last week, and I hope we can move beyond that. When we were standing in the election, we supported the ‘Space4Cycling’ campaign which highlighted the problem of Delamere Terrace. The problem is that cyclists heading east along the very well used cycle path along the canalside park find the path ends, but Delamere Terrace is a one-way street coming west, and cycling is not allowed on the pavement. Plans for a cycle path along Delamere Terrace have been drawn up but haven’t been approved. After we raised it again with council officers, the latest news is that they have requested a site visit with TfL officers to press them to carry out the Delamere Terrace scheme at the same time as planned improvements to cycling on Blomfield Road. One eagle-eyed resident spotted a Thames Water lorry driving around their Westbourne Green worksite at 6 AM. We have also heard that contractors on the Amberley school and flats site have been working well into the evening, sometimes 8:15 PM. “The parking situation here has always been a problem, in large part due to the fact that this is not a council road but is managed by six different organisations. The council’s Transportation Department has also said that the street lighting on Elmfield Way is sub-standard and there are concerns about the sub-surface material of the road itself. Following my letter last November, many local residents wrote to me to with many stories of unfair and often invisible parking enforcement, increasing traffic problems and congestion. This is why over the past six months I have been pushing Westminster City Council to formally adopt Elmfield Way. Adoption would enable the council to properly manage the parking situation, provide essential services such as street lighting and take responsibility for traffic management and road safety issues. I am very pleased to be able to report that the council now appears to be taking local concern about these issues seriously. Council officers are seeking estimates of the cost of upgrading the carriageway, a pre-cursor to adoption, and one of the current owners, the Department of Health, has agreed to make a contribution towards the cost. Although negotiations are not yet complete, at the moment it looks like the upgrading and adoption of Elmfield Way will finally happen. There has also been progress on securing an interim play space for the period between when the current Multi Use Games Area (MUGA) is closed for redevelopment but before the new play space in the development at 291 Harrow Road is ready for use. Central and North West London NHS Trust have given permission for the council’s Play Service to use their MUGA at Bluebell Lodge until the new site is ready. 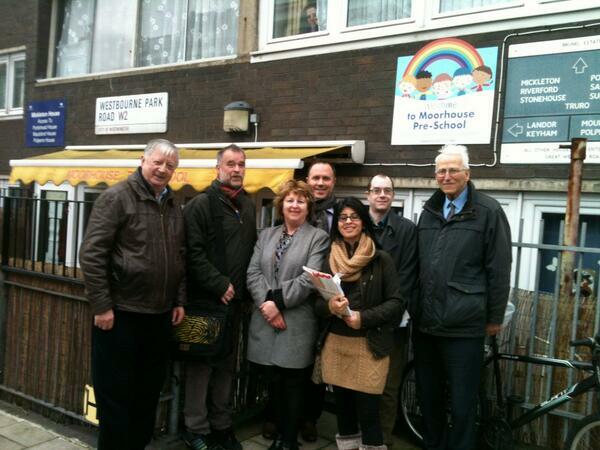 I recently visited the Eaton Plaza estate along with your local councillors. We were shocked by the number Eaton Plaza residents who wanted to tell us about disrepair issues and poor maintenance services from Stadium and L&Q. Some of the flats we saw confirmed that many tenants here are not receiving the service they expect from their landlords. We have asked Thames Water for a briefing on progress on Westbourne Green in keeping with the community obligations. There are several aspects which are giving us and constituents concern. 1) The letter sent to residents on 27 February says “We’ll have a noticeboard in each park where you can find up-to-date information. There will also be access to a meeting room at the site in Westbourne Green. Residents will be able to use this room to call in and chat about our work, progress, or concerns that they have.” But there is no meeting room currently on the Westbourne Green site. When will it be opened? 3) On the site, the path running next to Harrow Road from the Blomfield Villas end just comes to a dead end with the hoarding; to continue their journey, people have to follow the hoarding across the park to the Bourne Terrace side, go through a flowerbed and climb over the railings to get to the other path (and there are trampled saplings showing that they have been doing just that). 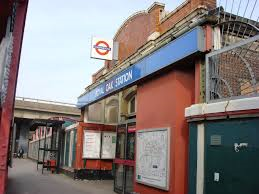 Murad Qureshi, Labour Member of the London Assembly, has called for improvements to Royal Oak Underground Station. “I recently travelled through Royal Oak underground station, and noticed that the stairs leading down to the platform looked to be in very poor condition with torn and filthy surfaces. I watched a mother trying to drag her pram up the stairs and the condition of the steps made this an even more difficult task. My concern is that these steps in their current condition present a real health and safety threat to commuters and therefore should be assessed and improved at the earliest opportunity. Can you please confirm the last time these stairs were maintained and when the next programme of repairs is planned in the future? On a recent visit to Eaton Plaza we found many blocks were in a very poor state with damage to the internal decorations through graffiti, cigarette burns, and doors having been forced. Leicester Court had the carpets entirely removed and damage caused to the walls. Network Stadium have replied that the carpet in Leicester Court was removed because of a problem with damp and will be replaced. Kennet Court will also get a new carpet as soon as possible. Many residents also reported that they had mice infestation. Network Stadium explain that this is because the block is near to the canal. Network Stadium are treating the communal areas to stop mice getting into them, and are also willing to help vulnerable residents by blocking the access holes used by mice in individual flats as well as communal areas. We also noticed the basketball hoop on the games area was broken and arranged to have it fixed. The safer neighbourhood team has just held the first meeting of a new ward panel to help guide our local police. Several residents have volunteered to go on the panel but there are other spaces available. The next meeting is on Thursday 12 June. If you’re interested, contact PC Matt Humphrey on 020 7321 8506. • Order a block treatment to tackle mice infestation. • Inspect the CCTV system and repair it if it’s faulty. • Disinfect and clean the bin store. • Consult with residents on whether to move the bins. • Inspect the drains, possibly using CCTV. We have told them that the stock condition survey should be of all flats, instead of just a sample, as this is what they agreed at the meeting. The middle of Westbourne Green Park has now been taken over and closed off by Thames Water who are digging a hole so they can dig a 25m deep shaft and put in a 20 metre tank. We fought against them, but Westminster Council gave them permission. While we’re still disappointed at losing the park for a year, we are holding Thames Water to their commitments to the area. The latest projects include helping Westminster Academy with a film club, setting up a Young Engineers’ Club, and providing work experience. There used to be some ornate wrought iron gates on the Sutherland Avenue entrance of Maida Vale library. When the recent works to the roof were being done, they were removed. Now the works are complete the gates have returned to the ‘no entry’ western entrance but not to the main entrance on the corner of Shirland Road. We have been chasing the council, and it seems that the gates were taken away to a fabricator (restorer), who was engaged by the contractor doing the works. The council is now pressing for their return and is deciding whether to send another contractor to pick up the gates and fit them back. Between June 25th and 30th Westminster Council will be giving local residents around Westbourne Green the chance to vote on the ‘Masterplan’ for the redevelopment of the local area. As many residents will know the proposed scheme impacts the Warwick and Brindley Estates, Westbourne Green, the canalside and the stretch of Harrow Road between Royal Oak and the canal, with a smaller additional development on Blomfield Mews. Local residents will be faced with a choice in June: The potential benefit of a package of improvements to improve the look of the Westbourne Green area, improve local shops, provide new job opportunities and deliver some new homes for some local people. This must be set concerns about increased housing density from the up to 290 additional homes to be built primarily around Harrow Road, most of which are for private sale, and the impact of around 5-6 years of building work in the area. We and Karen Buck MP are working hard with local residents to improve the proposals so that they really benefit Westbourne Green residents rather than those who may move into the area under the council’s plans. In addition to up to the new private homes, Westminster Council are currently proposing replacement homes for those in Oldbury House and the corner of Bourne Terrace due for demolition, up to 55 additional new social homes for overcrowded Westbourne families and 37 so-called ‘intermediate homes’- only half of which will be available for families with an income between £30-37,000 a year, with the rest aimed at a range of higher earners. We have called on the Council to reassess its figures for the money due to be raised from private sales in the light of rising local house prices. We are calling for all additional cash raised, along with additional money from the Council’s Affordable Housing Fund, to be used to increase the proportion of social housing and cheaper intermediate homes for local people in the final scheme to directly benefit more residents without further increasing housing density. We are pushing for clearer commitments that the Council will actually be able to deliver the much wanted supermarket and free cashpoint, rather than merely have the aspiration to provide these services for local people. We have raised specific issues about the impact of the proposed scheme on residents of Brinklow, Wilmcote and Princethorpe that will be most impacted by increased housing density. We feel there are potential security concerns about the proposed new bridge over the canal and the planned underground parking. We also want to see clearer evidence that the proposed new enterprise and job opportunities directly benefit Warwick and Brindley residents and that the new children’s centre is affordable for local families. We are working with local residents in the time remaining before the vote to get the best deal possible from the council and then it must be for local residents to decide whether the scheme meets their needs. So whatever your views about the Council’s plans make sure you have your say. Following the major fire at Brinklow House we have picked up a number of concerns on behalf of local residents. We have assisted a number of residents dealing with the damage and raised concerns about the lack of information to residents about what was covered by the Council’s buildings insurance and where home contents cover was needed to deal with water damage. The Council has promised to communicate better with CityWest Homes about vulnerable people living in their properties who have are receiving care from the Council and have admitted that they could have done better in the past. There are still questions about the role of the police in evacuating residents and some general confusion on the night of the fire to which we are still seeking answers. Residents have raised further concerns about the use of the communal area at the centre of Lapworth Court. We have raised these concerns with the local Safer Neighbourhood Police Team and have called on CityWest Homes to explore design options to make the area more secure, including improving the locks on the internal doors. When visiting Charfield Court we raised residents’ concerns about a broken lift emergency call button that has now been fixed and have urged CityWest Homes to improve maintenance and monitoring of these lifts that are breaking down too often. We passed on residents’ concerns about the long-running lack of a working door entry system and have been promised that a new system will be installed imminently. We have raised concerns about a rough sleeper in the bin and garage areas on Clearwell Drive with the Council’s rough sleeping unit, the local police and the Little Venice Estate Office. We’ve also arranged for National Grid to remove a dangerous cable from next to the Millennium Centre. After we raised concerns with the Council’s traffic department about parking on Harrow Road causing congestion they have come back with proposals to put double yellow lines on the area of the bend in Harrow Road between the canal and Amberley Road. We’ve also had the Pedestrian wayfinding sign that was installed the wrong way around changed so it is now pointing in the right direction and got the council to address the lighting problem under the Westway. Many local residents have been objecting to two separate planning applications to turn the empty shop at 7 Marylands Road and the popular ‘Tsiakkos’ restaurant at 5 Marylands Road into flats. The shopping parade at the Harrow Road end of Marylands Road has been suffering in recent years but allowing it to go to flats would end it as a retail area. Council planning officers have told us that they are concerned to preserve the area. The application at 7 Marylands Road has recently been withdrawn; we hope the shop unit can be brought back into use so it helps the local economy. We have been working with their colleagues in Harrow Road ward and concerned local parents to press the Council to take measures to reduce the speed of traffic going from Marylands Road into Chippenham Mews. The Council has promised to act to put up a new school sign and put in steps to slow traffic but will report back shortly with details to parents and residents. We are working with local residents on the Wessex Gardens Estate over concerns about the conduct and costs of major works underway at the moment. Given the longstanding concerns about the standard of repair work on the estate we have asked CityWest Homes to reconsider whether all the current works should have be lumped into the major works project that has increased the cost to double the original estimate. We have also called on the Council to expanding the opportunities for residents to use deferred payment schemes. 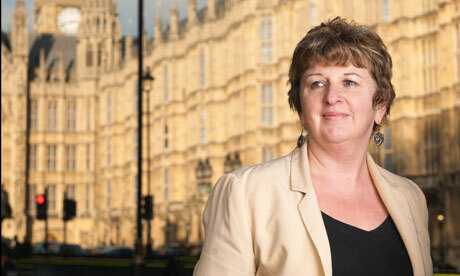 Karen Buck MP and we have been working to ensure the local Safer Neighbourhoods Police Team pays attention to the long-standing issue of street prostitution around the corner of Great Western Road and Westbourne Park Road, including the southern end of nearby streets. We’ve also again called on Westminster City Council to install CCTV in this area to deter this activity. Unfortunately, the Council has rejected our previous requests. However, we will keep pushing for action to support local residents. • More and improved supported accommodation for people with learning disabilities and physical disabilities and people with autism, providing excellent care in new purpose built accommodation. It will re-provide the 19 existing units currently on the site with fit for purpose accommodation and provide an additional eight units. • 64 new intermediate affordable homes for rent both general and for key workers in the NHS and other public sector. • A play area for younger children and a ball games area between two new buildings to replace the temporary facility that occupies a portion of the existing site. Pre-application consultation with local groups indicated strong support for the proposal to include a ball games area to replace the existing temporary facility. A management plan for use of the ball games area was included in the planning application. Due to the phasing of the site development, there will be a gap when no games area will be available so the council is currently negotiating the possible temporary use of an existing ball games area nearby. The Westbourne Labour Action Team was on the Brunel Estate meeting residents and taking up local issues and concerns, including safety and security problems, damp and condensation in flats. We also spotted a number of vacant flats which we concerned to see and and have made enquiries to ask when they will be re-let. Plans to ask residents in Westbourne Green to vote on plans for a major new regeneration of their area have been put back to the summer after we and local residents called on the Council to give more time to improve their ideas for the area. The Westbourne Green Masterplan provides an opportunity to improve the look and feel of the area around Harrow Road and provide some new homes for local residents, but there are real concerns about the proposed increase in housing density and the amount of disruption that a big building project would cause. We think that if there is new housing to be built, a higher proportion of any new build should be new social housing to help Westbourne families in overcrowded accommodation and lower-cost intermediate homes for hard working local residents. The Council is currently focusing too much on high-end intermediate homes for families earning £60-80k a year and luxury homes. We are calling on the Council to review its estimates for revenue gained from private sale given skyrocketing local house prices, to use more money from Westminster’s Affordable Housing Fund and to use the money the Council is getting from the government’s new homes bonus to change this imbalance. We also think that any private sales should be on the open market so that they can be bought by people planning to live those homes rather than international investors who may leave them empty. We want the Council to work harder to find ways to ensure that new retail provision includes a supermarket, but it must not promise things that can’t be delivered. There is also scope to improve the plans for the green space in the area and local employment provision where more resident input is needed. We are very keen that residents get a chance to get more involved in the working groups looking at these proposals ahead of any vote to make the plans the best they can be. Ultimately it needs to be for local residents to decide if these plans go ahead or not, so a decent turnout in this summer’s vote will be essential. We are very relieved that the recent fire in Brinklow House did not lead to any fatalities and that residents were able to return home soon after the incident. We have raised concerns that a number of residents were confused about whether they were supposed to stay in their flats or evacuate and have called for clearer information to be given about what to do. We are working with a number of victims of water damage to see what more CityWest Homes can do to assist them and have urged CityWest to expedite repairs to the communal areas and internal doors. After we raised concerns to Westminster Council, the Legible London sign on Harrow Road by the canal has now been put around the right way so that visitors to the area are no longer sent towards Portobello when they are following the sign to Little Venice. After concerns were raised by residents about how dark it was near the Crossrail substation (near Royal Oak) we have raised concerns to the Council’s transport commissioning team who have installed new LED lights in the area to improve public safety. A number of residents have raised the issue of the 36 and 18 buses that are the main buses that run through this section of Harrow Road. They pass through very infrequently and are often extremely overcrowded (particularly in the evenings). We are working with Murad Qureshi at the GLA to see how we can encourage TFL to up their frequency at peak times. It is likely that the much delayed flood alleviation project on Westbourne Green will finally get underway in February. We will be watching the works closely to ensure that they are handled sensitively and that the noise impact of the building site is closely monitored. We have been working with Thames Water to ensure that they deliver on their commitments to support local community activity projects and that work gets underway soon to renovate ‘the Pit’ on the corner of Bourne Terrace as they have promised to do. We have called on Thames Water to give reassurance that the delay to the start of the project will not keep them on site into summer 2015, something they had previously promised to avoid. He also says that he met with them in January and agreed that they could do “minor preparatory works” before the council has given the authority to close the area. He says “this will amount to some works to demolish part of a wall on Harrow Road and creation of some of the entrance roads”, and will not obstruct existing entrances. Within the council, the officers have agreed that Jonathan Rowing will be the single point of contact with Thames Water. He is in the streets team not the parks team, so he will be meeting the parks team before speaking to Thames Water. The Council expects to give Thames Water permission within the next few days; Thames Water then have to issue a notice confirming that they are actually taking over the park and there is another fortnight before that can be approved. We have been working with local residents to ensure that council is doing all it can to tackle mini cabs taking over parking spaces and lorries parking illegally in residents’ bays. We are working closely with local residents to resist the loss of shops and a local restaurant as there is currently a planning request to turn some of the Marylands Road shops and restaurants into residential. We have worked with the architects of the new development to ensure that there continues to be a games area for the use of local young people once the existing MUGA is removed but that it is designed to minimise noise and maximise security. We remain disappointed that the Council has not seen fit to include new social housing for local families as part of the mix on the new site but welcome the provision of new housing for the disabled and key workers. “This is one of the Estates where we do make extra patrols as a matter of course whenever we are on late shift or nights. We are acutely aware of the issues and we have stopped/searched a number of the youths involved, and PC Matt Humphrey has started acceptable behaviour contract action”. The council’s community protection officer has told us that those responsible will be banned from the estate, and that Network Stadium has had the evidence passed on so that they can take action. We have worked with local residents to campaign for a new pedestrian crossing at the junction of Harrow Road and Chippenham Road. The plans have now been approved by TFL and are due to be completed by the end of March 2014. Together with Karen Buck MP, we visited the Genesis properties on Woodfield Road and Grand Union Close just before Christmas. We were disappointed that despite previous complaints and a residents petition it did not seem that Genesis were doing enough to deal with repairs and ensure the blocks are kept in good condition. We heard residents’ concerns about mice infestation, damp/poor ventilation, failure to repair faulty windows, Genesis missing multiple appointments with residents and giving confusing information about kitchen replacement plans. Karen Buck has arranged a public meeting for Genesis residents with their Chief Executive on Thursday 13 March at 6pm at Paddington Arts so that residents can try to get answers about these problems. We have been working with local residents on the Brunel Estate to help them raise concerns about the redesigned concrete batching plant that is being rebuilt by Crossrail next to the bus station. We arranged for a meeting between Crossrail and residents to have their say and to reinforce the importance of effective sound insulation and responsible working practices on the new site. We are very frustrated that two new CCTV cameras, funded by the councillors’ ward budget, that would have been able to be used by the Westbourne Park Estate office to tackle anti-social behaviour initially on the Brunel and Wessex Gardens estates (but could have been used elsewhere in the area), have been blocked by the Council. After local residents had asked us for mobile cameras to tackle local anti-social behaviour issues, similar to cameras paid for by the Aerial fund for the Warwick and Brindley estates, the ward budget funds were approved in 2012. Now, after being held up for over a year, the Council has blocked the cameras arguing that there are no issues on the Brunel and Wessex estates. We and Karen Buck MP have raised concerns with CityWest Homes about the way in which the proposed costs for the current major works have risen since the original (rough) estimate given in 2008 and whether certain repairs that should have been done several years ago have been included in the major works project thereby raising the costs. We are calling on CWH to widen access to the deferred payment schemes that can help spread the cost out over a longer period of time. We’ve also worked with CWH, the council’s community safety team and the police to find safe ways to reseal a number of security doors that had been opened after a fire brigade inspection, something that resulted in a rise in anti-social behaviour on the estate. As a result of the Crossrail works a new sewer is being dug that requires a series of holes to be dug in the Tavistock Road/St Lukes Road area, causing disruption to local residents. We have raised concerns with Crossrail about proposals for some of the drilling to take place 24 hours a day for several weeks, and have asked them to make sure that some of the residents living nearby are aware that they are eligible for free secondary glazing to limit the noise impact. On a recent visit to Fallodon House on Tavistock Road, we were made aware of some problems with the cleaning service, something that we have raised with CityWest. We also have picked up problems with the pavement in front of the block and a broken light in the neighbouring park. On a recent visit to Hanmer Court on Tavistock Road we were very concerned about the state of the internal decorations in the block with flaking paint and graffiti on the walls. We have complained to Viridian Housing and want to see action to improve the state of the block. We are using £6,000 from the Ward Budget to pay for extra weekend police patrols in the ward during February and March. The additional police patrols aim to increase the feeling of safety for residents, as well as bring down the level of anti-social behaviour. The problem with Chicken Cottage at 360 Harrow Road has been going on for several years and has caused a great deal of concern; it is now coming to the final decision. With a lot of help from residents, Westminster Council did issue an enforcement notice on 12 July, coming into effect on 21 August, requiring that the takeaway use cease by 21 August 2014. Chicken Cottage appealed against the notice, so the decision will be made by the Planning Inspectorate. Residents can submit an ‘Interested party comment’ by 31 October. We have asked the Council and the police to take action to stop continued graffiti on the bus garage wall facing the canal. We have reported a dangerous and uneven area of road in Shirland Road in the vicinity of the Truscott Arms. Please let us know if there are any matters on which we can be of help. Westminster Council is consulting residents on plans to redevelop the site at 291 Harrow Road/Elmfield Way. A mixed development is proposed combining specialist housing for people with learning disabilities and affordable housing for keyworkers and families. •More and improved supported accommodation for people with learning disabilities and people with autism, providing excellent care in brand new, purpose built accommodation. •About 63 new affordable homes, including for key workers. These homes will enable local people who are eligible to access affordable housing. You can still view the exhibition boards online using the link below. Your ward councillors and I were out in Wessex Gardens recently, and have been picked up a number of issues over recent weeks. We just wanted to give you some feedback so you know what we are doing in response to these various complaints. There have been long standing concerns about the quality of CWH’s performance on Wessex, and pressure lead to a modest improvement. However the Residents Association have advised that standards for both gardening and cleaning services were dropping, whilst costs to leaseholders had risen under the current contracts. Cllr Hug has raised this with CWH again. Many Wessex residents use the small but beautiful park on the corner of Talbot Road and Shrewsbury Road, but the it is looking uncared for at the moment. The grass has been worn away from a large part of the park, especially next to the path. We have pressed the council to improve it, and the Parks department has said they will include the park on the list for winter reinstatement. They are drawing up plans, so we hope they will be working on the park later in the autumn. Whilst visiting, we were shown the security gates between Sandbourne and Anglebury, which are amongst a number now open on the insistence of the Fire Brigade, (despite this not previously having been considered a risk from the time when they were installed). While clearly we cannot override the instructions of the Fire Brigade, it is nonetheless true that security doors were closed precisely to limit the number of exits between blocks so as to help tackle anti social behaviour and crime on the estate. Councillors and I are requesting a review of the arrangements to find a solution that works from both a fire safety and community security/quality of life perspective. Residents from Sandbourne have pointed out that large groups of youths (from mid-afternoon to 3/4am) are sitting in front of his gate on this railing. Some have suffered a number of problems in addition to the noise and sense of threat- including broken gates has been and back windows of the property has also recently been broken. We are asking for the Safer Neighbourhood Team to give priority to this area, especially when they are on duty at night. (Hopefully the proposed positioning of the ward budget supported CCTV camera at the back of Sandbourne will pick-up some of this if approved in October). Apparently eggs are regularly being thrown at passers-by from one of the upper flats in the block. From a number of residents across the estate there have been complaints of motor scooters being driven around the estate at night. We saw for outselves that there were two scooters left in front of Sandbourne in the stages of being broken down (no plates on either) and we asked that these be removed as soon as possible, as there is a high probability of them being stolen. In common with other estates in the borough, leaseholders are extremely anxious about the potential costs of Major Works for windows, lift and heating system replacement. Whilst long delays to the programme almost inevitably lead to rises in costs, lessees have legitimate concerns about ensuring value for money, effective project management and transparency in the costing and billing process. Your councillors have, amongst other things, requested that major works and heating costs to be considered together when applying access to deferred payments and other CWH payment support options. I can assure you that your councillors and I will do all we can to help. I hope that this is helpful- please do let us know if there are other issues, or if you would like to receive specific updates. Westminster Council has given Thames Water permission to dig up Westbourne Green, despite Westbourne councillors David Boothroyd, Adam Hug and Papya Qureshi firmly objecting. But after hearing the councillors say how many local people used the Green, the Council told Thames Water that they must help users find alternative sites. The deadline for completion of the questionnaire is 12 noon on Thursday 19 September. When Thames Water first informed us of their plans to use Westbourne Green as a the site for their proposed flood alleviation works we worked hard with local community groups such as the Westbourne Forum and members of the estate sounding board to get the best deal possible from Thames. While recognising the necessity of action to prevent flooding to houses on Formosa Street and Shirland Road, we opposed Thames’ choice of Westbourne Green, an area not impacted by the flooding and one that has already been lumbered with the Council’s decision to place the WAES temporary building on it. 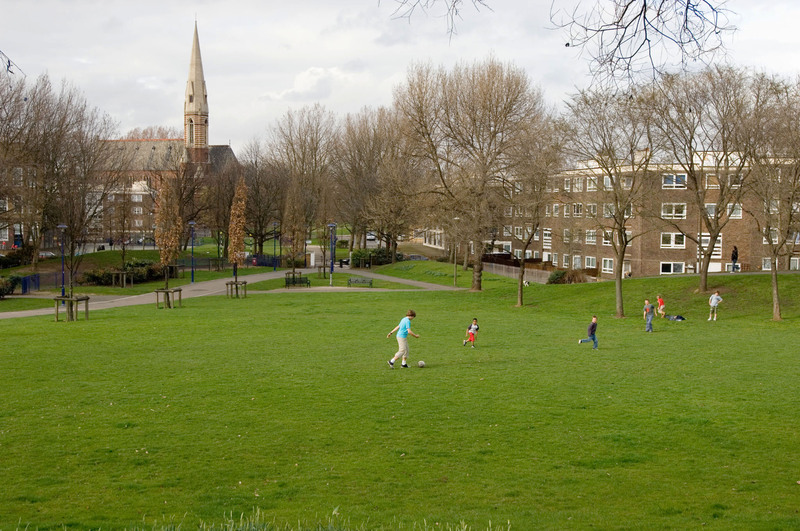 We recognise that the open green space of Westbourne Green is a vital part of a community that needs greater support rather than extra burdens. Thames’ proposals were to take over the majority of the main southern section of Westbourne Green from Autumn 2013 to potentially as late as Spring 2015. We argued both before and during the planning process, alongside with local campaigners and in the local press, that Thames Water should find alternative sites perhaps closer to the area that would receive the benefit of scheme. • Fill in and landscape ‘the Pit’ on the corner of Bourne Terrace and Harrow Road, to provide some extra green space in the local area during and after the completion of the Thames works. 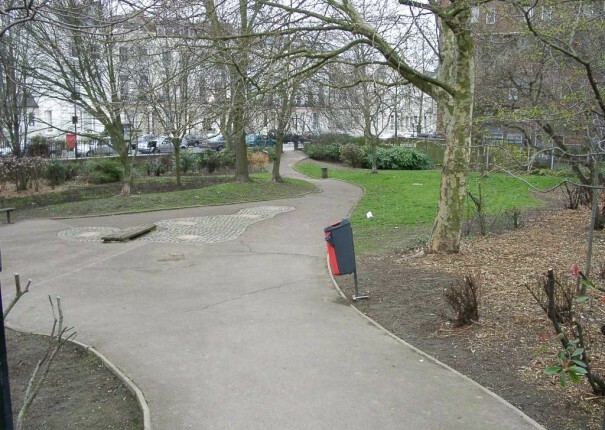 • Fully reinstate and improve the condition of Westbourne Green upon completion of the works and give £40,000 to help fund the further improvements to the Green being proposed in the event that residents chose for the Masterplan to go ahead. • Revise the design of their plans for the site to ensure that the distinctive bowl shape of the Green was retained and reduce other changes to the physical layout of the area. • Work with the Planners to reduce their time on site to 12 months or shorter and create a community liaison group to give residents an opportunity to address problems. • Look to support local community organisations impacted by the loss of the Green to provide alternative provision such as using time at the Academy Sport and assisting with the Westbourne Festival in 2014. We were disappointed that this was given as a recommendation rather than a formal requirement. We are disappointed that the Council did not insist Thames Water go further to meet the needs of Westbourne Green residents, who still lose out over this scheme. However the final outcome is an improvement on what Thames first proposed. We will continue to work with local residents and the council to ensure Thames WAter delivers on its commitments and does all it can to reduce the impact on our local community. “A vital pedestrian crossing in Harrow Road is to be stripped out by Crossrail as street-level work overruns by two months. Ward councillor David Boothroyd said Crossrail had agreed to preserve a pedestrian crossing in the area after he raised concerns about safety. Crossrail said they have installed a “staggered crossing” which will allow pedestrians to safely cross the road. Last month Westminster Council rubber-stamped plans to install a new pelican crossing just 170 metres away in response to a campaign led by residents for safe passage across Chippenham Road, where 93-year-old Margaret O’Brien died in a collision with a lorry earlier this year. The 73-mile railway project will run 30 metres underground, but water pipes near the surface have to be diverted and Crossrail said the works between Sutherland Avenue and Maryland Street will unexpectedly overrun owing to the “discovery of undocumented utility equipment”. A spokeswoman for Crossrail said: “Crossrail has implemented a two-way traffic light system on Harrow Road near Sutherland Avenue in order to undertake works to maintain water supply to residents and businesses when the temporary water main is removed from Lord Hill’s Bridge. “As the temporary traffic management system creates breaks in traffic and allows vehicles to travel in only one direction at any one time, a staggered crossing has been installed, replacing the existing crossing, to allow pedestrians to continue to safely cross the road. The NHS wants to improve the supported living flats at 291 Harrow Road and 1-2 Elmfield Way, and Westminster council has now produced plans for new buildings. There will be rented flats for key workers on the Harrow Road frontage above the NHS facilities. We will make sure the council consults and listens to the local community on the design of the new buildings. We’re also questioning the council about who will get the ‘key worker’ flats. The ‘multi-use games area’ on Elmfield Way which was installed after a long campaign by Karen Buck MP and was part-funded by our ward budgets, would be replaced. The council have worked out a way for Elmfield Way residents to use a games area which is in the back garden of the NHS building at 7A Woodfield Road, which could be given a separate entrance. If you or your children use the games area, please tell us what you think about their idea. The current works on Harrow Road (blocking the Sutherland Avenue junction) are being done by Crossrail, who are changing the water mains which go over Lord Hill’s Bridge. We pressed them to include a pedestrian crossing on Harrow Road, which they agreed to do. We also wanted them to avoid sending traffic down Foscote Mews, which they refused to do. “The works presently taking place in Harrow Road between Sutherland Avenue and Maryland Road, involve the lining and jointing of the mains on both sides of the road. This requires shuttle working temporary traffic signals on the Harrow Road and temporary one way working in Maryland Road and Sutherland Avenue. “Road works are required to take place in Tavistock Road to replace the Green Lane Sewer which runs under the Great Western Road. The replacement will use pipe jacking techniques from four shafts, between 6 and 10m deep in Tavistock Road and Great Western Road. In preparation for this work a survey is required of the utilities around the shaft sites. This work, entailing ground penetrating radar (GPR), will take place on four consecutive pairs of weekdays, starting .. on Tuesday 6 August 2013. We have worked with local residents to get Genesis to improve the gates at Grand Union Close which have been repeatedly vandalised and broken to prevent them being shut. Genesis has replaced them with ones they claim are more robust and that they believe will reduce the likelihood of this happening again. We have stepped up pressure throughout 2013 on the Council’s parking enforcement team calling on them to get a grip on problems with mini-cabs squatting in parking bays on Marylands Road that causing a problem for local residents and businesses. The council’s parking enforcement teams claim to have increased their patrols but clearly more needs to be done and we will keep on raising residents’ concerns on this over the next few months. We are working with the Westbourne Warden to attempt reduce encroachment by pub goers at the Waterway pub on Formosa Street onto the footpath in front of the Amberley Estate. As we know in the warm weather outside drinking, while fun, can be problematic for local residents so we’ve asked the licensing team to keep an eye out about late night noise. We have made a contribution to the Dollywood Foundation programme run by the Junior League of London in Westbourne. The money will go towards the purchase and shipping of books to 100 local children. The project aims to engage children and their parents in shared reading through reading workshops, educate to parents the importance of reading to their children and strengthening involvement with their children. The project aims to register an additional 100 children by the May 2014. The above association has had a neighbourhood forum area ( Notting Hill East Neighbourhood Forum area ) accepted by Westminster and intends to set up a forum. As our area includes Wessex Gardens, the Childrens’ Centre, Shrewsbury Gardens and St Mary of the Angels Primary school it is appropriate for a councillor for the Westbourne Ward serve on the Forum.if anyone is available. I would be very grateful if you could contact me if you are willing for a name to go forward on the application to form a forum. If one of you agrees I wonder if you would be kind enough to let me know.as soon as possible. We will be holding an AGM and and Emergency General Meeting at St Stephen’s Parish Church on Tuesday 29th April at 7.30 pm.